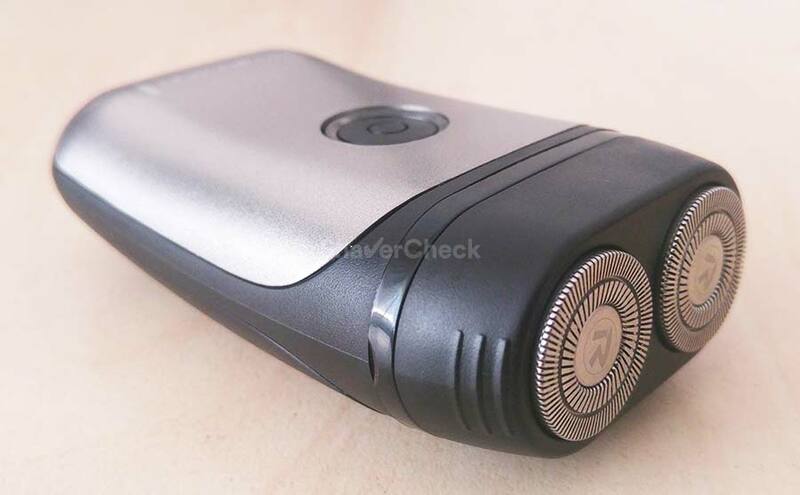 With a compact and lightweight body, the R95 is a rotary shaver designed with portability in mind that should be the ideal travel companion for men on the move. Let’s find out how it performed in our extensive Remington R95 review. Wrapup — Who should buy the R95? 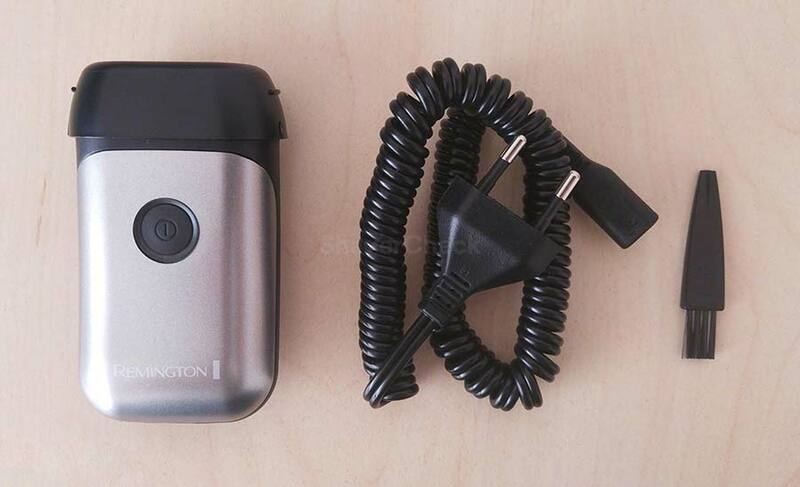 The R95 is part of Remington’s family of travel shavers, characterized by compact dimensions and very affordable prices. As a result, the list of features is not that extensive, which is totally understandable for a product of this type. The razor has two shaving heads that can move independently to maintain contact with the surface of the skin. The R95 can only be operated cordless; unlike most other shavers of this type that use regular AA batteries, this Remington is fitted with a rechargeable internal battery. The universal voltage converter ensures worldwide compatibility, which is convenient for a travel shaver. There is also a basic LED charging indicator surrounding the ON/OFF button. In order to keep costs low and the dimensions compact, the Remington R95 doesn’t have a pop-up trimmer or a travel lock. The razor’s body is made entirely out of matte plastic and has a flat, wide profile. The color scheme features black for the most part and silver on the front of the shaver. The build quality is generally good, with no significant flexing or cracking when pressure is applied. Ergonomically, the R95 is easy to maneuver due to its very lightweight, compact dimensions and flat shape. There are no rubber inserts, not even on the sides, but the grip is still pretty secure — again, thanks to the small footprint of the razor. The ON/OFF button is recessed in the body and requires quite a bit of pressure when operated, making it more difficult to be turned on accidentally. And that’s good news as the razor doesn’t feature any other means of locking the switch when traveling. As mentioned at the beginning of the review, the Remington R95 can only be operated cordless; the Li-ion battery that the razor comes equipped with can provide enough power for 30 minutes of use. That is well below the industry’s standard of 45 minutes, but again, understandable. 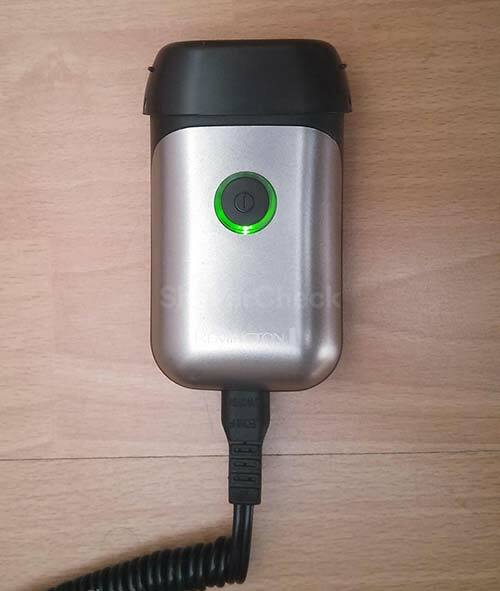 During the time I spent with the R95 I also noticed that as the battery drains, the motor can’t maintain peak power output and the shaver feels sluggish and tends to pull the hairs. So those 30 minutes promised by the manufacturer are actually less. Charging the razor takes a lengthy 8 hours to complete, which is a bit of a letdown as well. A quick charge capability is also missing. The charging cord is extensible and the brick itself is very compact and takes up little space. Cleaning an electric razor should always be hassle and frustration free and with the R95 it is — for the most part. Being a very basic and simple shaver in both design and operation, cleaning after each use means popping out the shaving had, tapping it gently on the sink to remove the bulk of the dirt and using the included brush to clean the inner parts. The operation described above represents the basic cleaning; every now and then you should perform a more in-depth cleaning and completely take apart the shaving assembly. This is important since the R95 is not waterproof and can’t be rinsed with water, so there’s a good chance for dirt and hairs to accumulate inside the actual cutters. To remove the shaving heads, you first have to turn the lock on the frame counterclockwise and lift the frame out of the shaving unit. After that, take the cutters and guards out of the shaving unit and clean them with the supplied brush. Just remember to put them back exactly the same since the combs and blades are matching pairs. Otherwise, the shaver will not perform optimally. Secure them in place with the bracket and turn the switch clockwise to lock it. The cleaning process is quite straight forward and easy, especially for men who have used rotary shavers in the past and were required to perform a thorough cleaning of the shaving heads. Since you can’t wash the R95 with water, a good option would be to use a spray cleaner every once in a while. And now let’s get to the performance review of the Remington R95. The razor was used for shaving every day and every other day; I considered this to be the most relevant use case scenario for a basic travel shaver. Three days of beard growth can be troublesome even for advanced razors and the R95 is definitely not one. Upon first turning the shaver on I was surprised by how quiet it is, especially since I’m accustomed to the high pitched noise of foil shavers. The motor probably operates at a lower speed than on most electric shavers, hence the low noise level. This slow operation pretty much reflects the shaving experience with the R95, a razor that feels underpowered and sluggish for the most part. The closeness is not great either; after completing a shave with the R95, I could still feel the stubble when running my hand across some portions of my face. Trying to get closer by going over the same area multiple times only resulted in discomfort. I also noticed that the R95 just doesn’t glide on the skin like the rotary shavers from Philips and tends to hop and lose contact with the skin. I occasionally experienced some pulling, especially when shaving longer hairs and around the upper lip area where my stubble is thicker and denser. Shaving also takes a lot of time as the razor seems to lack power and feels gutless. Add the constant hopping and you’ll get a shaving experience that is far from being enjoyable. People with a light beard can get away with using the R95 and could actually get a decent shave. If however you have a thicker beard like I do, getting a close shave will be almost impossible. Using a pre-shave lotion did somewhat improve things, but I was still not satisfied with the results. The razor also tends to leave behind stray hairs that lie flat on the skin, especially on the neck. I had to go over those areas a few times, which further increased the shaving time. The post shave comfort is quite good actually; I didn’t experience any significant irritation despite the problems mentioned above. 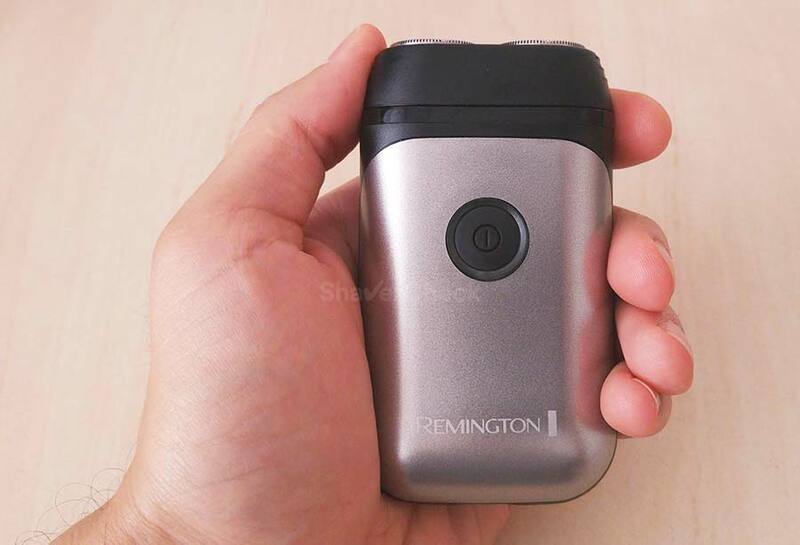 The overall impression is that the Remington R95 simply doesn’t feel like a proper electric shaver, capable of getting the job done seamlessly and smoothly. A travel case would have been a very welcome addition. As of now, there isn’t any information available on the manufacturer’s website regarding the availability of replacement blades. While this may seem very odd at first, we must consider that the entire razor costs less than the cheapest Remington replacement blades. This decision must also have something to do with the fact that the R95 is a travel shaver designed to be used sparingly. 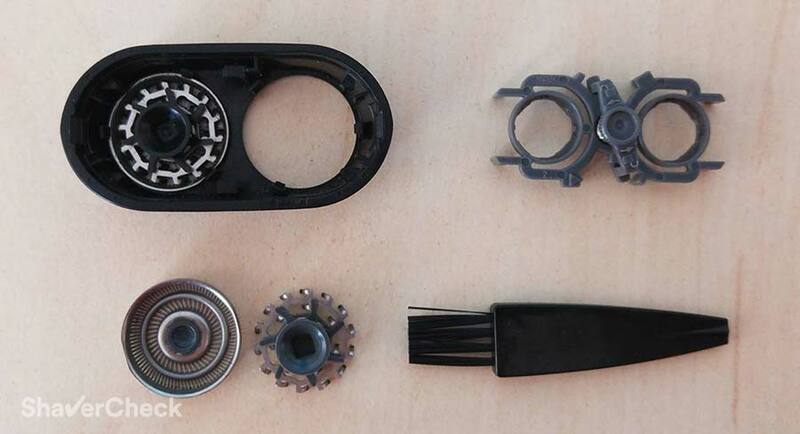 As a result, the wear of the moving parts is greatly reduced compared to an everyday razor. In other words, if the blades of your R95 need to be replaced, your only option would be to buy a new shaver. I would only recommend the Remington R95 if you must have a tiny, inexpensive razor for situations when you don’t necessarily need a fast, clean, proper shave and just want to keep your beard under control for a few days or if you have very light facial hair. Personally, I wouldn’t use the R95 as my travel razor as it simply doesn’t provide a good enough shaving experience; the pros of this particular razor — portability and price — simply don’t make up for the sub-par results. I would much rather sacrifice a few extra cubic centimeters in my luggage and bring along a proper razor. The very long charging time, coupled with the not so great battery life are also weak points of this razor. I would have actually preferred the R95 to be powered by regular AA batteries, like the Braun M90. This would have made it more versatile and practical to be carried around for some emergency touch-ups: in your car’s glove box, gym bag or in a drawer at your office. But the 8 hour charging time and small battery hinder this potential practicality. 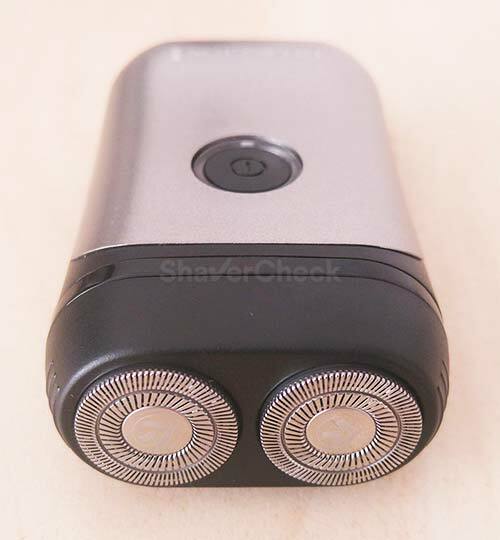 Finally, it is a bit pricier compared to most other similar travel shavers out there, but its performance is definitely not better. I will be the first to admit that I was never fond of the travel shavers for the reasons outlined above. However, the Braun M90 mobile shaver has a few compelling features that make me recommend it over the R95. It is noticeably more powerful than the R95 and also shaves closer. For more details, check out our review of the Braun M90 mobile shaver here. This just sums up the razor, a good review i found it useless i cant believe tis made by Remington and even wondered of it was a cheap copy , disappointed………and thank you wish i had read this first. Thank you for your comment. Unfortunately this is just a plain bad electric razor and you can’t really consider it a viable option. There are a couple of travel razors from Panasonic and Braun that perform better than the R95, but I would personally just buy a a regular razor, despite not being as compact. Portability simply can’t compensate for a bad shaving experience. Very disappointed to learn that the green charging light does not go off when fully charged. Unable to ascertain level of charge except when shaver slows down. That is correct. 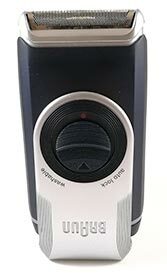 As an alternative, check out the Philips Norelco PQ208/40, it’s pretty much in the same price range.